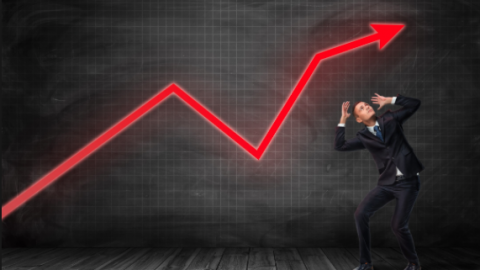 Wayne Nelson offers his daily-market recap. 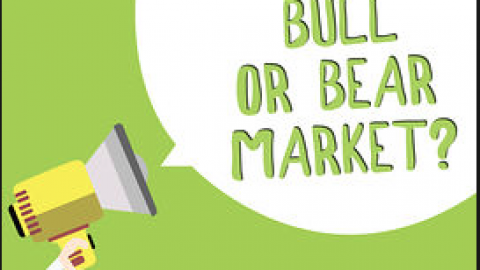 Insights on the daily market technical moves inclusive of analytical reference points. Additionally, Wayne offers some of the fundamental and geopolitical variables weighing on investor sentiment. What is the next leg the market will take remains dependent on geo politics, earnings and sentiment consideration. Bank earnings have been mixed with various beats on the bottom line and misses on the top line, but most banks and regardless of any shortcomings have proven to drive bank stocks and the overall market higher. On Thursday, the first big tech/media company will report earnings after hours, Netflix (NFLX). Wayne discusses Netflix roughly 14 minutes into the daily-market recap. Please click the link to play the video. 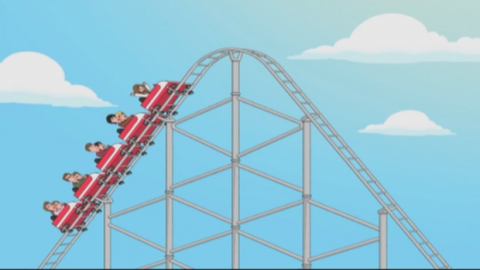 For now, here is what to expect when Netflix reports it’s results after the closing bell. Subscriber growth: The 11 analysts providing estimates to FactSet are expecting, on average, total net subscriber additions of 9.2 million, up from 8.3 million a year ago. In October, the company guided for total net additions to rise to 9.4 million. Netflix beat net adds expectations last quarter, and for five of the past six quarters. Earnings: The FactSet consensus for earnings per share is 24 cents, down from 41 cents a year ago. Estimize, a crowdsourcing platform that gathers estimates from Wall Street analysts, as well as buy-side analysts, hedge-fund managers, company executives, academics and others, has calculated a consensus EPS estimate of 33 cents. The company has beat the FactSet EPS consensus the past four quarters, and for the 10 of the past 12 quarters. Revenue: The FactSet revenue consensus is $4.21 billion, up from $3.29 billion a year ago, and in line with the company’s guidance of $4.199 billion. Estimize is projecting revenue of $4.23 billion. The FactSet consensus for domestic streaming revenue is $2.00 billion, for international streaming is $2.12 billion and for domestic DVD revenue is $84.5 million. The average rating of the 42 analysts surveyed by FactSet was the equivalent of overweight, while the average price target was $383.52. Looking ahead: The key to how the stock performs post-earnings could be the company’s guidance for the first quarter, especially following the subscription price-hike announcement. • Subscriber additions: The average of four analysts providing FactSet with estimates for total net subscriber additions was 7.98 million, ranging from 7.50 million from to 8.50 million, compared with 7.41 million the year before. • EPS: 83 cents. 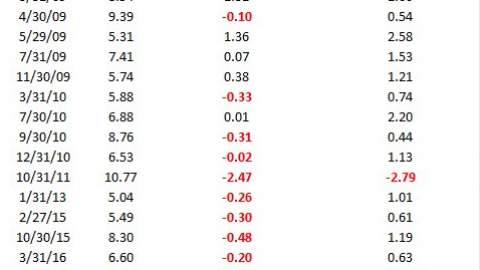 The FactSet consensus has fallen from 88 cents as of Dec. 31, and from $1.04 as of Sept. 28. • Revenue: $4.598 billion. The FactSet consensus has inched lower from $4.606 billion at the end of December, but has increased from $5.823 billion at the end of September. 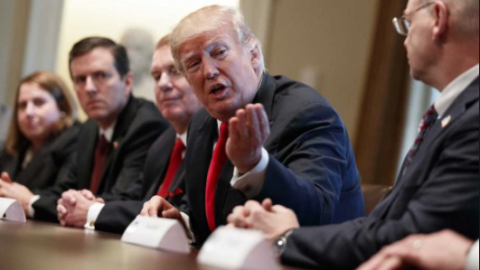 That would “call off the dogs and it just reduces the tension,” he said, referring to volatility that has becoming a dominant feature of markets, sparked at least partly by trade uncertainty and its potential to impede economic expansion for the world’s largest economies. In keeping with the positive sentiment offered from Larry Fink, the S&P 500 is now up 4.3% year-to-date. If history is any guide, and most would admit it was not for 2018, the stock market has strong positive correlations for 2019. 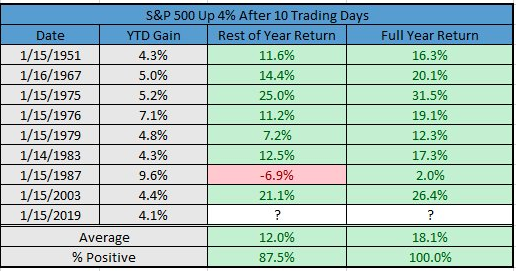 Since 1950, when the S&P 500 is up >4% after 10 trading days (like 2019), the full year has been higher 8 out of 8 times. The rest of the year has been down only once, in 1987. LPL Financial’s Ryan Detrick discusses the YTD rally in the context of the U.S. government shutdown, U.S.-China trade talks and the Democratic challenger field expanding, as the 2020 presidential election grows closer. Detrick says these unknowns coming from Washington are unlikely to shake Wall Street. In fact, history suggests this setup is particularly bullish for stocks. In year three of the four-year presidential cycle, stocks typically stage a strong rebound from midterm year lows. 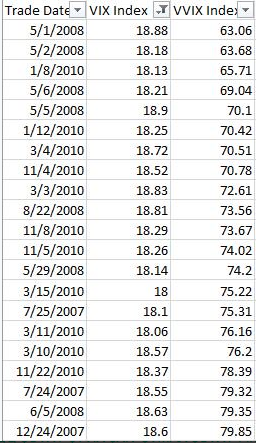 Since 1950, the S&P 500 has been higher every time in the 12 months from the midterm year’s lows. 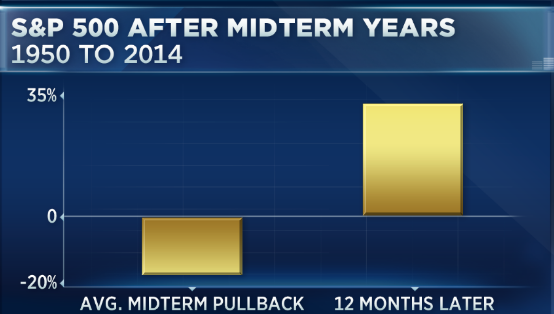 On average, the S&P 500 has rallied 32% from midterm low to a year later. In terms of the government shutdown that seems to find itself without negotiating a way out from all parties involved, the 12-month stretch after the end of a government shutdown also typically leads to gains, says Detrick. A year after the October 2013 shutdown, the S&P 500 had added nearly 9 percent. The 21-day shutdown that ended January 1996 preceded a 21 percent rally in 12 months. 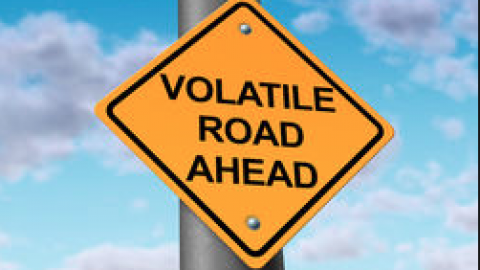 As it pertains to market risk and volatility, we’re still of the opinion the market is at a stage where pricing risk is found with large deviation. In tracking the volatility complex through the VIX we’ve been able to recognize certain anomalies. One anomaly has been the SKEW Index which was as low as 111 back in late December and has since moved significantly higher, to above 130. 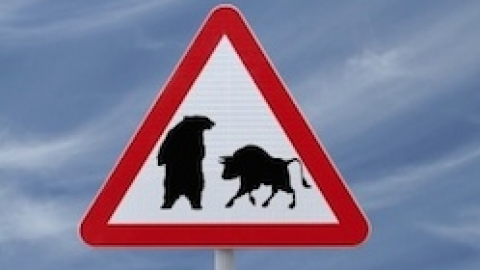 Does this mean that there is greater tail risk to the market being priced today than in previous weeks? Yes and no! The reality is that market deleveraging and the lack of liquidity that coincides with liquidity eventually reverses. Liquidity comes back to the market and gamma risk shifts. As such, a higher SKEW Index from all-time lows isn’t indicative of tail risk given the December 2018 dynamics and reversion since. It’s merely reversion, which is necessary to bring about market stability. As one can see, the current ratios are rather unique. 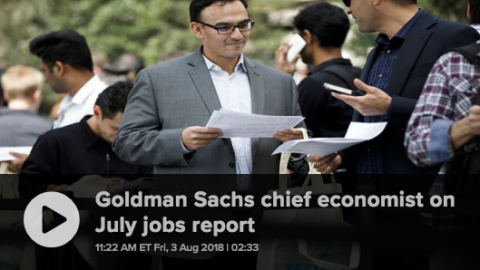 The only other times they seem to have occurred were during the great financial crisis of 2008 and in during the European debt crisis of 2010-2011. 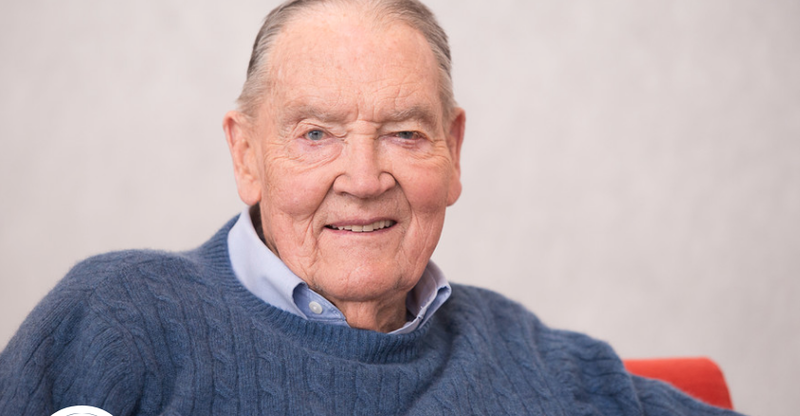 The market will find itself with a heavy heart on Thursday as John C. Bogle, the father of the retail index fund and an outspoken champion for low-cost investing that won him heroic status among individual investors, died Wednesday. He was 89. 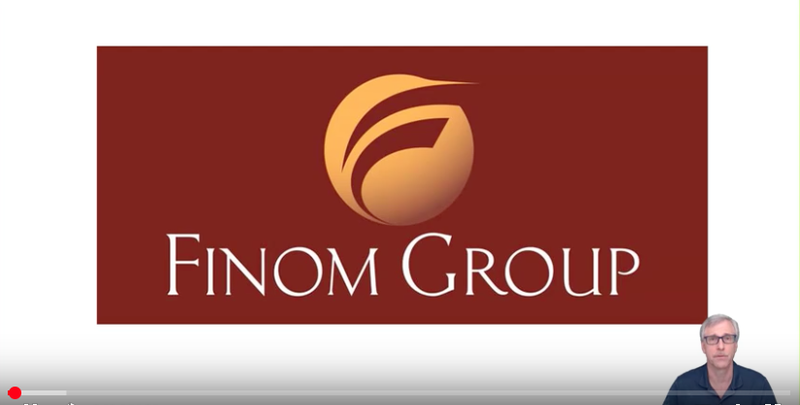 Lastly, we remind our readers and subscribers that Finom Group will present its weekly State of the Market video update to subscribers firstly Thursday and to the broader public Friday. 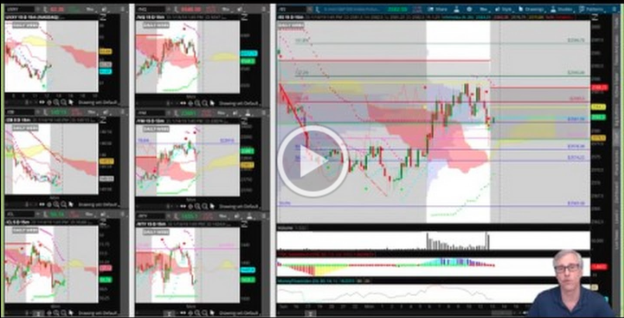 Do check it out as Wayne and Seth discuss all things comprising the market’s New Year rally and the market outlook. From fundamental analysis t0 technical analysis and everything in between!